Information: An exclusive edition of issue 7 of Top Cow's new Battle of the Planets comic series. 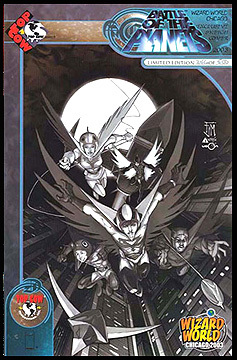 This version featured a black and white alternate cover by Francis Manapul. It was available only at the 2003 Wizard World convention in Chicago. Art by Wilson Tortosa, story by Munier Sharrieff. Full color.